We help create world class facilities. Concrete coatings that will help with your maintenance, safety and appearance. The knowledge and skills to properly prepare and paint all types of metal surfaces. 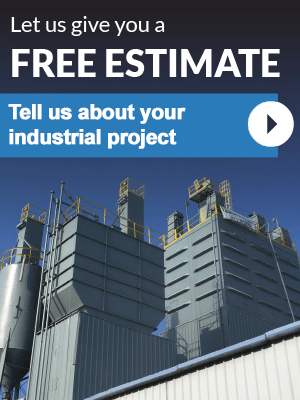 Have an Industrial Painting Project? At Performance Painting Contractors, we understand that the scope of industrial site painting, preparation and coatings may range from pipelines to power, utility and wastewater plants. Each of these facilities require interior and exterior paint and coatings that are important to a facility’s structure and functionality. Many industrial facilities never sleep as they are supplying our homes and businesses with power, fuel or water. Even the smallest disruption to an industrial facility and the service they provide caused by corrosion or fire may cause tens of thousands to go without power or other services. When a facility of this magnitude incurs a disruption, the costs that are incurred from downtime can be catastrophic to their business. We strive to bring back the look of the sustainable durability of your factory without sacrificing the functionality of your facility and its’ equipment. Providing the right coatings to your equipment can increase its lifetime, and we can do just that. We accomplish this by using the highest quality coatings on the market. Performance Painting Contractors strive to enhance the superiority of your equipment by preserving its structure and cost with proper coating maintenance. Our industrial painters are experienced in surface preparation, lead abatement, and of course the high-quality coating applications required for industrial facilities. Each of our painters have several years of experience and certifications in painting industrial facilities as well as equipment. Our company’s dedication to safety and continued education is at the root of our company culture. These two practices in itself helps keep our team and yours free from incident. We bring a level of professionalism and pride to the painting industry you can trust. We are bound by this promise and work to deliver the best quality by the best painters. We are not afraid to tackle any challenge at any industrial facility. We confront each project with a promise to apply quality coatings with pride and deliver a 100% satisfaction guarantee to all of our customers.